As diesel vehicles become increasingly popular on the road, industry precautions are being taken to help avoid permanent damage to the environment that may be caused by fuel emissions. If your RV runs on diesel, you’ve likely heard of Diesel Exhaust Fluid, or DEF. However, you may not know what this solution does or why it’s so important in maintaining the integrity of your motorhome. 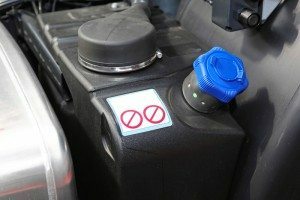 Diesel Exhaust Fluid is a solution made of 32.5 percent urea and 67.5 percent deionized water, which is sprayed into the exhaust stream of diesel vehicles. Although DEF is used to help break down toxic Nitrous Oxide emissions by converting them to water and nitrogen, the fluid itself is nontoxic. In fact, DEF is classified as an organic compound, and is carefully regulated by the American Petroleum Institute. DEF is stored in a separate tank in your RV, and is then injected into the exhaust stream at a rate of somewhere between 2 and 6 percent of your vehicle’s consumption volume, which helps keep doses appropriate to avoid frequent refills. Why should I care about DEF? Nearly every diesel-powered vehicle built since 2010 is equipped with Selective Catalytic Reduction (SCR), meaning they require Diesel Exhaust Fluid to function. SCR systems were created in an effort to reduce harmful contaminants and protect the environment by decreasing dangerous exhaust, while simultaneously increasing diesel engine efficiency. Failing to properly handle DEF can result in a variety of issues, including lower fuel economy, voided vehicle warranties, and polluted pre-filters and injector nozzles. However, with consistent up-keep, DEF can provide your RV with increased power, reduced maintenance, and less engine wear, making it instrumental in keeping your motorhome running. How do I maintain my DEF? Since this fluid is an integral part of your RV’s fuel system, it’s important to never let your vehicle run out of DEF. Thankfully, when the EPA passed the emission reduction regulations that made SCR mainstream, it also mandated the vehicles be equipped with technology to keep them from going without Diesel Exhaust Fluid. When your tank starts to get low, you’ll see a series of alerts on your dashboard which appear when your DEF drops below 10 percent. At this point, you should replenish the fluid, which can be purchased at most gas stations, as well as auto stores and major retail locations, like Walmart. When it comes to storing the solution, temperature is the most important factor. If your DEF is being stored in a climate-controlled temperature where it stays at a comfortable temperature (around 77 degrees Fahrenheit), it should retain its full potency for up to two years. However, if exposed to extreme heat or sunlight, its shelf life is reduced to about a year from the date printed on the bottle. The good news is DEF efficacy isn’t affected by freezing, neither in nor out of the vehicle, so winter won’t pose any additional problems. 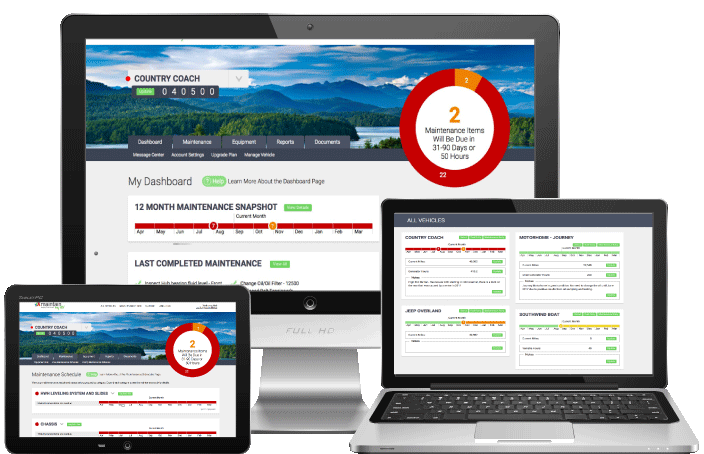 Thanks to Maintain My RV, keeping up with your RV maintenance has never been easier. Through the use of our online maintenance schedules, checklists, and log books, you’re always the expert when it comes to caring for every element of your motorhome, including DEF. Log on today to keep your travels safe and happy for years to come.